Mexico is quite an alluring destination for travelers, thanks to its amazing weather all the year round and not to forget, its vast stretches of white sand beaches! Though the month of May is a shoulder season, it is still advisable to visit this part of America during the summer months as you would get heavy discounts and plus, you can enjoy the pleasant atmosphere and lush greenery as there are mild showers in this month. Also, summers are an ideal time to enjoy some really amazing and colourful cultural festivals like Guelaguetza. Living in Mexico is very different from going on vacation to Mexico. You should be ready to take Mexico as it is with all of its difficulties, contradictions and challenges. Most visits to Mexico are trouble-free however, you should know about the risk of indiscriminate terrorist attacks, which could be against civilian targets, including locations frequented by expatriates and foreign travelers like restaurants, hotels, clubs and shopping areas. You need to exercise a high degree of caution due to violence in Northern and Western states of the country experiencing a deteriorating security situation. High levels of criminal activity, as well as demonstrations, protests and occasional illegal roadblocks remain a concern throughout the country. In recent years, the Mexican authorities have carried out numerous investigations and operations against drug related crimes and terrorist networks. Monitor local news broadcasts and consular messages. Ensure that your travel documents and visas are current, valid and secured in a safe place. Carry a photocopy of your travel documents in lieu of the originals. Maintain a low profile, vary times and routes of travel, and exercise caution while driving. Making local contacts quickly and seeking support from other expatriates will substantially increase your comfort and safety. The ‘Visitante ‘permit is intended for visitors—usually tourists and business visitors—to Mexico on short term visits of six months or less. For trips of longer than six months, a non-immigrant or immigrant visa should be considered—see the sections below for details about this. A Visitor’s Permit is issued when you arrive in Mexico (by air, or travel inland by road beyond the ‘free border zone’) by completing a Forma Migratoria Multiple (FMM): these forms are issued by airlines, and are also available at ports of entry. The Visitor Permit is valid for upto 180 days and cannot be renewed. Upon its expiry, you will need to leave the country. There is a fee of about US$22 for this permit, which is usually included in the price if your flight (under taxes and fees). If you arrive by road or ship, and travel beyond the ‘free zone’ near the border, you will have to pay for this permit separately. In a small number of circumstances, your Visitor’s Permit may be exchanged for a Resident Permit. See the next section for details. Mexico operates what is known as a Temporary Resident Visa, intended for people who wish to live in Mexico for more than 6 months and not longer than 4 years. The Temporary Resident Visa is a renewable, long-term (more than six months) permit which gives non-immigrant temporary residency status to the holder. 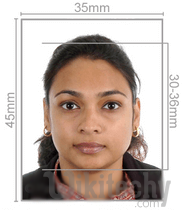 The visa is issued for one year, and can then be renewed for a further 1, 2, or 3 years (i.e. 1+3, 4 years max); this visa can optionally give work permissions, and allows unlimited entries to, and exits from, Mexico. This means that it gives a person holding the permit the right to live in Mexico for up to 4 years under terms as set out in the visa. There are various categories under which the Temporary Resident visas are granted, and these relate to the activities you intend to undertake while in Mexico. Under the terms of the Temporary Resident Visa, you are authorized to only undertake certain, specific, activities which may be lucrative or non-lucrative, depending on the visa’s classification. A key criterion that the Mexican authorities require for the issuance of a Temporary Resident Visa is that the applicant prove that they have ‘sufficient funds to sustain themselves while in Mexico’ and/or a proven steady income. The financial requirements are based in Mexican pesos, and the various financial criteria been formalized following the introduction of the new immigration law that was enacted in 2012. With a few exceptions, the Temporary Resident Visa cannot be issued to you in Mexico; you must apply for it at a Mexican consulate outside of Mexico. This is a change to the rules before 2012, where Visitor Permits could previously be exchanged for Resident Visas if the person(s) fulfilled the criteria. This article explains who can apply for residency within Mexico. When applied for from overseas, the Temporary Permit (card) itself is not issued by foreign consulates. Instead, they process and pre-approve the application and place a Visa (sticker) in your passport. When you arrive in Mexico you have to attend your local immigration office within 30 days of arrival, and undertake a procedure to exchange your temporary resident visa (passport stamp) for a Temporary Resident Permit (a plastic card). Once applied for and granted, you can hold the Temporary Resident Permit for up to four years, and after this it cannot be renewed: at the end of the four-year period you must exchange the Temporary Resident permit for a Permanent Resident permit, or leave the country. Permanent Resident Visas are issued to foreign nationals who have the intention of living in Mexico for long periods of time (over six months) AND who intend to settle permanently (indefinitely) in Mexico. Resident first to become a Permanent Resident later, provided that you fulfill one of the other requirements needed for permanent residency. Obtain the visa application form from the Mexico Consulate in your country or you can download the Visa Application Form through the internet. Fill out the details required in the visa application form carefully. Remember to put your signature on your completed application form. Check the fees required for your visa application. Keep the fee ready for submission along with your visa application form. Remember to check the mode of payment accepted for the visa application by the Mexico Consulate located in your home country. Submit your completed visa application form in person at the Mexico Consulate nearest to you, along with all the required documentation. After your visa is issued, you will get an appointment to obtain your visa. Collect your visa on time. 1.Nationals other than Britain seeking to visit Mexico on business are advised to check with the Consulate regarding visa requirements and fees. 2. Vaccinations against cholera and yellow fever are required by the Mexican Immigration Office if the visitor has been in an infected area two weeks before entry into Mexico. Depending on your situation, you will need to pay one or more of these fees. : To be eligible to pay the maximum fee of $500 (in Canadian dollars), family members must all apply at the same time and same place. Citizens of certain countries and territories have to give their biometrics (fingerprints and photograph) when they apply for a visitor visa, study permit, or work permit. Find out if you need to give biometrics. : The biometrics fee covers the cost of collecting fingerprints and a digital photo. It also covers the VAC core services for clients that submitted their application through a VAC. Core services includes application completeness checks, transmission of applications to the visa office, transporting supporting documents as well as passports to and from the visa office and online application tracking services. Visa requirements depend upon the foreign individual’s nationality and his or her intended length of stay in Mexico. 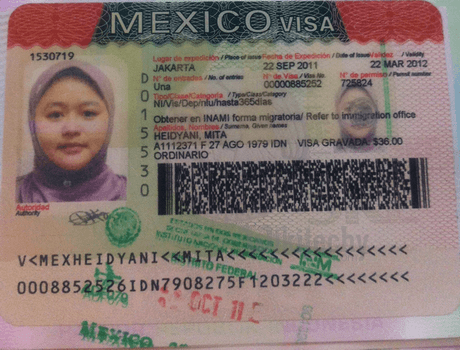 A foreign national wishing to enter Mexico must obtain a visa. It is important to obtain in advance the correct visa that gives you the right to work in Mexico. Work permits and residence visas are easy to obtain if you can demonstrate that the relevant skills and experience are in short supply within Mexico. Foreigners with a visitor status can have a company they want to work for apply for a Mexican work permit with the National Institute of Migration (Instituto Nacional de Migración - INM). While the application is processed, visitors may stay in Mexico until they receive information from INM that they may collect the permit at the consulate of the home country. Then such visitors have to leave Mexico and collect the permit in the home country. Only after that, they can apply for a residence visa. Nationals of the following countries traveling on regular passports do not require visas to enter Mexico if they are tourists, visitors in transit or business visitors (a fee is applicable if entering by land. For those traveling by air the fee is included in the price of the plane ticket). Tourists and business visitors can stay in Mexico for up to 180 days.Visitors in transit can stay for up to 30 days. 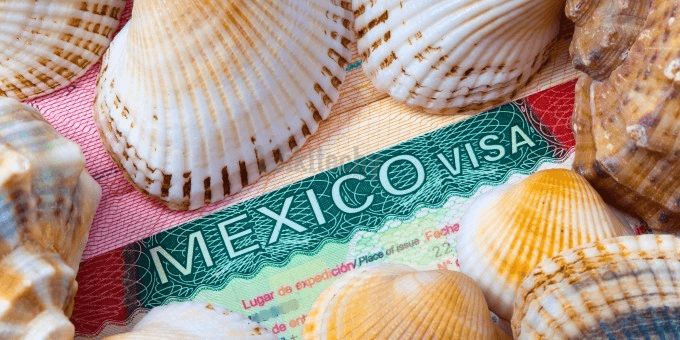 All foreign nationals entering Mexico either by plane or by land should have a tourist card filled out and have it stamped at their first port of entry. When entering by land, you will have to go to the immigration booth located at the border crossing. When entering by plane and transiting through Mexico City, you should stamp your tourist card in Mexico City before boarding towards your final destination. Most documents issued abroad to be used in Mexico should be legalized by the Embassy of Mexico or one of its Consulates in your home country. Foreign nationals who fail to present a valid Mexican immigration document (tourist card/FMM, TRT, TRP or other) when checking-in at the airport may be directed to the Immigration Office, resulting in delays, missed flight, unexpected expenses and/or the imposition of a fine. Foreign nationals with a resident status in Mexico (TRT, TRP) must fill out a migratory form (FMM) and present it to Mexican immigration authorities when leaving the country in order to register their exit. Immigration booths, located before or after security check in airports as well as at border crossings, can sometimes be difficult to find. The stamped "Registro De Salida" portion of the form must be given to the airline company when boarding the plane or to the border agent when exiting by road. You must carefully keep the remaining portion of the "Registro De Entrada" form and return it to Mexican immigration authorities when re-entering Mexico. Time to receive a visa is on average 2 days but can be up to 3 weeks, depending on nationality. The cost of a visa varies, depending on nationality - around US$17 - $30. Proof that you have sufficient funds to prolong your stay. Vaccination certificates are not required. If your Mexico job search and application for the Mexico visa and Mexico work permit have been successful, you should start preparing for the Mexico job interview. In addition, on the international info, job search, visa, work permit, cover letter, CV & resume, job interview and dress code pages you will find many useful tips for overseas job seekers. Good luck with your Mexico visa. Good luck with your MEXICO visa!